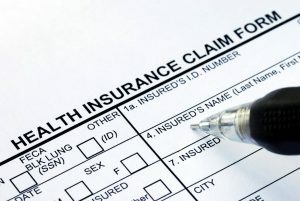 Having a comprehensive health insurance plan that provides the full range of benefits, including preventive care, outpatient care for illnesses and injuries, emergency care, coverage for care in the hospital, mental health care, and prescription drugs, can help you pay for the healthcare you need. But having good health insurance does not mean you necessarily have access to the most experienced, qualified physicians and hospitals for the conditions you face, especially if you’ve been diagnosed with a serious, complex, or rare health problem. Insurers encourage members to receive care from the doctors and healthcare facilities within their provider network by setting copays higher and coinsurance levels lower for out-of-network care. Out-of-network deductibles are also often higher than those for care received from healthcare providers within the insurer’s network, which means you pay more for your care out of your own pocket. The fact that most doctors refer their patients to specialists, labs, imaging facilities, and other providers within their own healthcare institution can be another hurdle that may block your access to the best and most appropriate care. No hospital is the best in all specialties and services. For example, although the hospital where your doctor has privileges provides very high quality obstetric care, it may not be the best institution for women who have been diagnosed with breast or gynecologic cancer. In addition, your primary care physician may not be up-to-date on which physicians and hospitals have the most experience and offer the latest treatments, so you may not be referred to the best healthcare providers for your specific condition. Research your options: If your doctor refers you to a specialist, tell him or her that you would like to consider all possible options, including those outside your insurance network and at other healthcare centers. Next, find out where the specialists were trained, whether they are board certified in the specialty, and how often they treat the specific condition you’ve been diagnosed with. You can check board certification on the American Board of Medical Specialties site and physician credentials on the hospital or practice website and the American Medical Association DoctorFinder. Assess the physician’s experience: Ask each specialist what his or her patient outcomes are for patients with your condition in similar health. Ask for complication rates, mortality rates, and hospital readmission rates. Find out what past patients’ quality of life is like after treatment in both the near and long term. A health advisor can help you find experienced physicians and provide detailed background information on them as well. Get a second opinion: If your doctor recommends elective surgery, like back surgery or joint replacement, or you are diagnosed with a serious, complex, or rare health problem, before choosing a treatment path, get a second opinion from an experienced physician. A second opinion can confirm or change your diagnosis and ensure you’re aware of all appropriate treatment options and their risks and benefits. A number of centers of excellence offer remote or virtual second opinions, which makes it easier for you to access their specialists’ expertise.